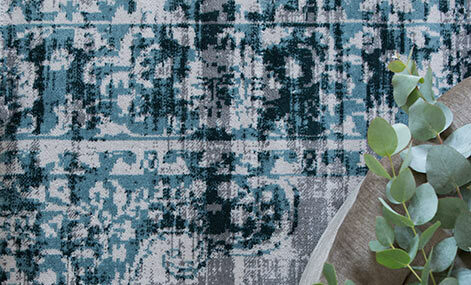 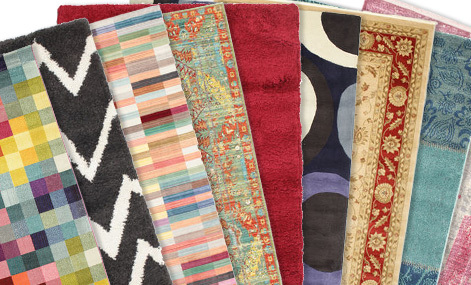 These modern rugs come in a variety of different sizes and patterns and make for a beautiful focal point in your home. 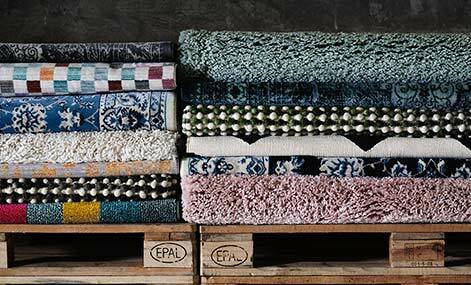 When making these rugs a synthetic wool material with textile qualities is used. 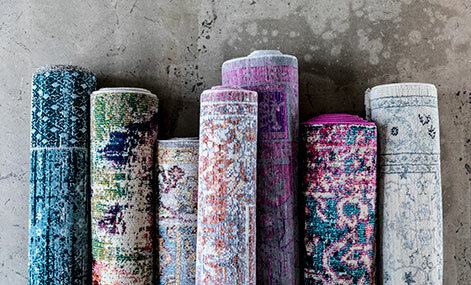 Besides having a soft and comfortable pile to walk on, this material has several good features that among others make the rug lint free and easy to clean. 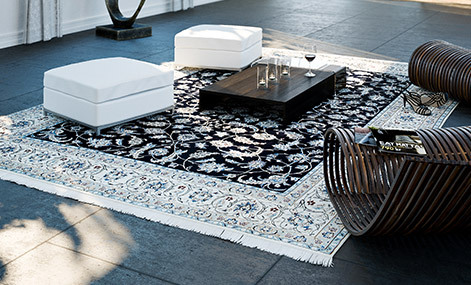 To increase safety and help prevent the rug from sliding around, the backside is covered with a thin layer of latex.